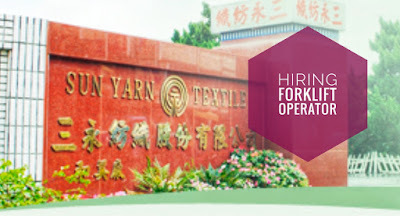 SUN YARN textile co ltd. as established in 1969,located in ho-mei of chang-hwa hsien , The textile town of taiwan. 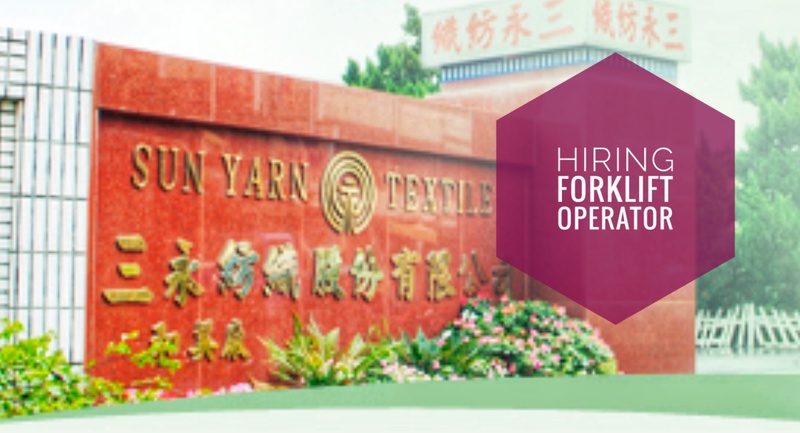 We mainly produce 100% cotton and blended yarn for Denim, Curtains, Homme textile, etc. ,also highly devoted in functional yarn, for example tencel, viloft ,outlast and acrylic yarn. The company’s target is to have steady quality, punctual delivery and thoughtful service. Visit and apply personalky at TCNIVERO International Manpower at Unit Q, Violeta Court, FB Harrison Rd., Pasay City, Manila. Bring necessary documents for applications. im forklift operator, reach truck and counter balance. 8 yrs experienced for warehousing. im interested to apply.